Inspirtational centrepiece for Project HOPE. Private collection. Not for sale. The reserve bid on all artworks is 50% of the estimated value. Project HOPE is an art exhibition and auction taking place on March 21 through to April 11, 2009 at Galerie Dentaire in Montreal, Quebec, Canada. Artists from throughout Canada, the United States and United Kingdom have come together to raise awareness of HIV/AIDS and to share their personal interpretation of hope. 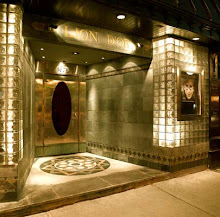 Our auction will be held at a separate location, Le Lion d'Or on April 15, 2009. Proceeds from this event will go directly to AIDS Community Care Montreal, (ACCM), which recently recognized its 20th year in response to the HIV/AIDS crisis. Tickets for the auction will be $35.00 and may be purchased through Galerie Dentaire and ACCM throughout the duration of the exhibit. We encourage you to look at the beautiful works available for auction and to join us in the fight against HIV/AIDS. Let me begin by stating that I am no stranger to hope. In fact, the idea of reaching out to others - who may find themselves in situations that are often beyond their control or who have suddenly discovered that their life has been confronted with new and daunting challenges - was the impetus behind the foundation that I created with my sister, Kellie, in 1992. Planet Hope has since gone on to help tens of thousands of families from around the globe, sometimes on a grand scale and sometimes in smaller gestures that, for many, makes all the difference in the world. That is the most wonderful aspect of hope - that it does not simply fulfill a wish, a want or a desire but that it connects us to that part of our soul and creativity that inspires, encourages and uplifts. When we are traveling on the road of life and our journey appears smooth, unencumbered and filled with wonder, we have a tendency to forget that our path could change at any given moment and lead us into parts unknown. 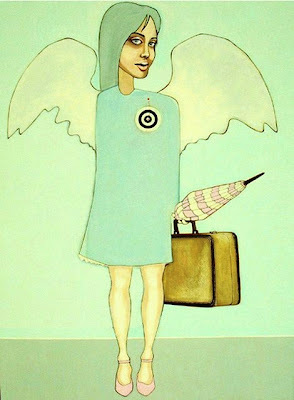 Hope is oftentimes the signpost that leads the way forward. We are not always warned in advance that we are about to meet with obstacles, resistance or, even worse – complacency. Hope, in all its grace, (although not denying the reality and powers of the aforementioned), acknowledges their existence and instills within us the inspiration, courage and fortitude to advance and prevail. Hope, in itself, does not offer solutions but it does provide us with resource. It is odd what we find as we travel down these treacherous paths, (that are only described as such due to the fact that they are so well worn from the many whom have traveled, toiled and sacrificed before us). These roads are all too easy to ignore because newer and more fashionable pathways exist. However, what we often experience on the road well traveled is knowledge, insight and the shared experiences of seasoned fellow voyagers who are dedicated to lending us a hand and guiding us toward safety. If it were not for those who commit wholeheartedly, tirelessly and selflessly to our wellbeing, some of us might never feel compelled to move onward and would simply throw our arms up in defeat. All of this to say that when I was contacted by Chris Elliott, (Project HOPE organizer) to lend my voice to in raising awareness of HIV/AIDS and drawing attention to this venture, I immediately understood what the organization was attempting to accomplish. AIDS Service Organizations, (ASOs) have been responding the HIV/AIDS crisis for nearly 3 decades and fully understand that their work is not finished. I applaud their efforts – past, present and future – for a cause that is very dear and close to me. I fully encourage others to become involved, pay respect and tribute to all the HIV/AIDS Service Organizations who maintain the struggle in the fight against HIV/AIDS and their battle to secure reliable, ongoing funding across the globe. Such organizations demonstrate ownership, responsibility and action both for HIV/AIDS and for themselves. By organizing events such as Project HOPE to promote education and prevention of HIV transmission, integrating and building diverse communities, sharing knowledge and goodwill, ASOs truly define the meaning of hope. To the many volunteers and associates of Project HOPE, I wish you long life, good health and prosperity. I fully endorse your exceptional work in the field of HIV/AIDS and your struggle to reach and maintain independence while remaining actively involved as a member of the global HIV/AIDS community. To the donors and sponsors providing support for Project HOPE, I appreciate your involvement which truly reflects the heart and spirit of generosity. And finally, to the many artists, galleries and art patrons who are participating in Project HOPE, I commend you on your efforts and recognize that your contributions – both artistic and humanitarian – are not only drawing attention to an important cause but are also bringing a special kind of beauty to our world. Good luck to all and I wish you well on this most excellent adventure. I devote much of my life and my work to defining and expanding the meaning and virtues of a tiny word: hope. Such a powerful and compelling word it is. To merely mention hope is to express an optimistic desire ripe with the anticipation of obtainment. At the same time, hope too often reminds us of the personal and global tragedies, the dire circumstances and the undeniable sense of hopelessness that many in this world experience. I encourage you to envision a world in which we are born, raised, nurtured, loved and protected by those who surround us; We grow to become confident, creative, loving, intelligent, self-respecting individuals; We cherish our moments and our memories; We appreciate and pay homage to our ancestry, our past, our successes and our failures; We treat our planet and our fellow men and women with dignity and in that manner which we, ourselves, wish to be treated; A world flush with love and a boundless sense of hope. I encourage you to salute the brave individuals who dedicate their time and resources to draw attention to the challenges and difficulties of those who do not enjoy the privilege of such a world. Within our communities, organizations and associations congregate those who truly embody the meaning of faith, charity and achievement. These are the people who believe that it is not unreasonable to think that a world that includes HIV/AIDS must also contain its cure. As I witness the alarming rate of new infections of HIV/AIDS among the Inuit, Métis and First Nations communities across Canada, not to mention the mounting global reach of this devastating illness, I become more certain that the work of such organizations as AIDS Community Care Montreal must continue. I also wish great things for Project HOPE, its participants and organizers; the many artists, volunteers and compassionate humanitarians who will lend to the success of this important event. I encourage you to get involved and raise your voice to support these valuable efforts. I believe that miracles happen through dedication, desire and love. For this reason, I have hope. I extend my support and thanks to everyone at AIDS Community Care Montreal and to those who are contributing to Project HOPE, for their energies keep the fire of hope alive in so many.